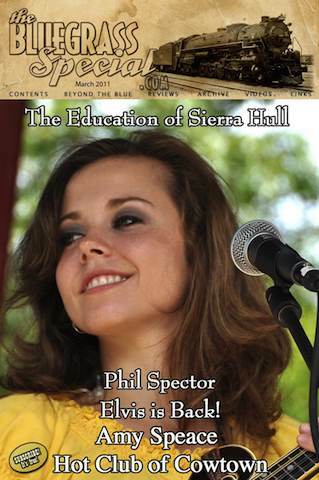 The March of The Bluegrass Special features Sierra Hull in her third major feature in The Bluegrass Special pages in as many years. This 19-year-old girl returns with her second Rounder album, Daybreak. This edition also features a Bill Monroe Centennial Moment; The night in October 1939 when Monroe and his Bluegrass Boys took the stage of the Grand Ole Opry for the first time and in a single stroke established a signature song and a signature sound with a rousing treatment of Muleskinner Blues. It’s the latest installment of their year-long celebration of Mr. Bill’s 100th birthday.